One of the biggest disappointment’s n my life was learning that my body couldn’t handle dairy or gluten. Thankfully I learned about them year’s apart so it wasn’t as hard of a blow, but it wasn’t that easy. When I learned I couldn’t have dairy I went from drinking about one and a half gallons of milk a week to nothing. Then when I was told about gluten I was consuming toast regularly and had a new found love for the taste of beer ( Even though I could only drink about half a beer…). To say the least both transitions were worth it, but very difficult. 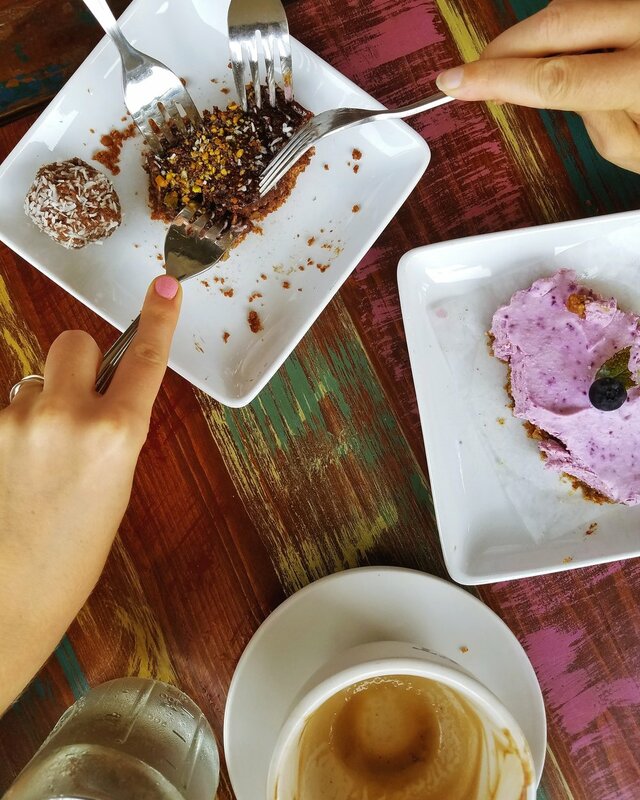 This is why I am here to help you along the way of transitioning from gluten and dairy to ah…none. Within the last few years there have been SO MANY new products that offer dairy and gluten free options. This being said a lot of these companies have a list of ingredients longer than your to do list. Therefore; it’s important to do your research when it comes to pre-packages foods, choosing carefully, while keeping in mind that you won’t always be eating perfectly. You want to become aware of what type of foods go where. When I went gluten free I wasn’t actually aware that beer had gluten in it or that French fries are most times coated in flour during their cooking process. I had no clue until LAST WEEK that Nutella contained dairy. It’s really slightly embarrassing when I learn about foods I thought would be okay, but really just bring my stomach to tears. Therefore; don’t feel embarrassed if you have to ask at a restaurant, double check the label or google things like “does shampoo contain gluten?”, because honestly we have all been there. It’s a learning process so think of it like a research project where the outcome is less stress and a happy body! There is a never ending stream of information on the internet, but one of my favorite ways I came to understand what type of foods I should eat and what I should avoid came through social media. I relied on bloggers who had been through the process, Pinterest for all the recipe inspiration and Instagram to help get me excited about the new way of eating. Trust me, if you’re ever feeling down about any food allergies look up hashtags like #dairyfree, #glutenfree, #soyfree, etc. and your feed will be flooded with beautiful food that makes you forget about that slice of wonder bread. After you take to social media and you see everyone and feasting on something like sweet potato toast or banana ice cream give it a go, but keep in mind that you don’t have to love it just because everyone else does. Personally I love avocado and find it a perfect substitute for mayo in my tuna salad but for others they can’t stand the taste. Don’t feel the need to try to force a food that you dislike just because it seems o be the only option. It’s your own diet and you have to create food that you love and are willing to skip the gluten and dairy for. The most important change is swapping out the foods you have laying around your house, especially snacks. If you are trying to eliminate gluten, but you always have that bag of honey mustard pretzels staring you down then out they should go. That doesn’t mean don’t replace them, because there are several brands that make gluten free pretzels. The goal though, is to not replace everything with the same recreated product, It’s about changing around the way you eat. If you don’t have gluten free honey mustard pretzels on hand oh well, you can enjoy those carrots and hummus just as much! This is the final and probably most vital tip because when it comes to eliminating foods. It is so easy to feel like something is missing in out diet if you don’t fill the void with something else. This is a great opportunity to find some awesome new healthy whole foods that will satisfy your hunger and leave you nourished. For example, I gave up coffee for quite some time and I found that the ritual of having a hot drink in the morning leaving me feeling like I had missed out. That’s when I started drinking green tea lattes instead! Not only is green tea packed with antioxidants it also offers the boost of caffeine that does not deplete my body, but energizes and sustains it. So find some good prepackaged foods, but try to keep the main focus on what nutrient dense foods you can incorporate! Okay so now that you have the ground rules I’ll show you some of my favorite swaps I have made in my own diet. Not just for gluten and dairy but also for other products that offer little nutrient value. Hope you guys enjoyed the post, and let me know what your tips are for swapping out foods! I don’t know about you guys, but as a child I would always receive a ribbon for my homemade crafts at the town fair…For real though, do you ever miss the days where your biggest accomplishment of the day was carving a pumpkin, making paper sailboats, or painting rocks? For a little while there I thought I was past this stage and needed to focus on productivity rather than creativity. Thankfully, both my husband and I come from families filled with artist and abstract thinkers so it was hard to let go of the days of macaroni art. I found myself going through the motions of keeping the house clean, working, and cooking, without the satisfaction of simply enjoying my day. I found myself craving all the craft supplies and spending hours in hobby lobby without buying anything unless it was “practical”. In all honesty life became a little boring and I wasn’t quite sure what to make of it. One day Instead of resisting the childlike urge to make collages, I grabbed some magazines and dove right into a collage making session. I also downloaded the Sims, sought out DIY decorations and new ways to cook. I found myself drawing again and after a little while I had a new found confidence in myself. I not only was confident in what I could create, but I was confident in my ability to grow and improve! Once I had allowed myself to enjoy the creative process I began to venture out into bigger things. This is when I managed the courage to dive into food photography on my Instagram page, which then grew into the creation of this blog! Thought it might not seem exciting, this is something I have wanted for a long time, but never had the courage or confidence in myself to begin. SO the next time you feel yourself wanting to spend a few minutes or hours creating something, then do it. Acknowledge that creating is as important as an adult, as it is as a child. Psst* what was your favorite craft as a child? For me it was nail art and all the collages, which drove my neat freak father crazy most days. This is why I usually hid the mess under the couch! Sorry Pa, Love you! A lot of times people ask me things like why can’t you eat that? Are you vegan, or gluten free? Do you only eat healthy food? What happens if you do eat something you’re allergic to...I can tell you now, bad things happen. The beauty of this question is that I always get a reminder of all the amazing foods I can eat and probably wouldn’t have ever heard of if I hadn’t had all these sensitivities. In all actuality I probably eat more variety than the average person because of it. I find myself filling my plate with new veggies, nut butters, plant based proteins, spices and combinations that would have never peaked my interest if it had not been for all the “limitations” to my diet. If you don’t believe me, or if you find yourself facing similar limitations and don’t know what to do, here are some of my favorite foods that I would have never discovered! · Quinoa & Millet: Perfect source of healthy carbs and protein. Use for a rice replacement in soups, salads, chili, etc. · Almond, Cashew, or Coconut Milk: Replace milk with these bad boys to get a hardy dose of healthy fats as well as cutting down your sugar intake. · Gluten free Oats: Perfect in creating your favorite version of granola or blend and use as a replacement for flour in baking. · Turmeric: Perfect spice to aid in lowering inflammation in the body and adds excellent flavor and color to any dish! · Apple Cider Vinegar: I drink this in the morning to aid in digestion but ACV is also amazing on top of salads. Cut out the sugar and oil and trade you normal olive oil and balsamic for ACV and lemon juice. · Matcha: Use in replacement of coffee if you find yourself addicted and feeling crummy. I would find myself feeling the effects of caffeine in the form of depression and anxiety whereas Matcha provides energy as well as antioxidants without the side effects. · Dates & Figs: Use these for a snack that boost energy or use in baking raw vegan cakes for a perfect caramel flavor. · Rooibos Tea: Not only is this a great night snack, it aids in digestion and provides antioxidants that are more than welcome! · Flax Crackers: A new found recipe that am already in love with! They offer your daily serving of flax while keeping the crunchy texture of regular crackers. Perfect for hummus or any of your favorite dips! This is only a small fraction in the variety of foods that I do eat and enjoy. No matter what allergies, or sensitivities you have remember that there is a world of different foods out there for you. It’s not a limitation, but simply an option to find new favorites! It's an important rule to keep because each different color means that you are getting a different combination of nutrients. For example if you see the color orange or red you can assume that is a great source of vitamin C. If its antioxidants you’re looking for try foods with naturally darker pigments such as blueberries, black rice, or Molasses. If you’re like my sisters and I you would have low iron, and while you can turn to supplements or red meat, one of the best sources of iron comes from green foods! Foods like Pumpkin seeds, Spinach, Spirulina, and Swiss chard are great examples of this. Adding color doesn’t just stop at nutrients though, it continues with taste as well as taking pleasure in eating a meal. By adding color as well as texture both your eyes and your taste buds will be more satisfied with the healthy food you are consuming! These are only a few of the many benefits of switching up your diet and adding a little color. Make sure to challenge yourself to purchase as many colors as possible with your next stop to the grocers! SIDE NOTE: If you have a hard time going to the grocery store and ignoring all the junk food try doing most of your grocery shopping at your local farm stand! You get the opportunity to shop outdoors and avoid all the temptations in a grocery store. Plus most fruits and vegetables at a farm stand are usually all in season, meaning better taste and more nutrients! Wherever you do end up, have some fun, try something new and add a little color! Pssst…Here’s a recipe I whipped up after an inspirational trip to the Farm Stand! Chop up all your veggies and throw into a bowl. Mix the Tahini, lemon, Apple Cider Vinegar, salt and pepper together and combine with chopped veggies. Top with pumpkin seeds and set out for you and your loved ones to enjoy! If you read my About Me post you would have an insight about my story, but I wanted to dive a little deeper and give you a little recap of how I handled Candida. After flying back to South Africa, meeting with a holistic doctor and finding out that I had candida I hit a new low, especially knowing I needed to immediately go on a strict gluten, dairy and sugar free diet for about three months. Now if that doesn’t sound like fun to you I don’t know what will. Coming off sugar was not the most pleasant experience. In all reality I cried more than I would like to admit and had withdrawal symptoms that included fatigue, headaches, irritability, and mood swings. All I can say is my husband and his family saw me at one of my worst times and thankfully, they still love me. Now there were a lot of negatives with diving into the candida diet, but by the time the three months were over I realized how sick I actually felt before venturing into the diet. Not only was I feeling healthier than ever, I managed to avoid getting sick, my stomach stopped hurting after each meal and I was feeling significantly more energetic. Now to take a step back, how the heck did I go gluten, dairy and sugar free? I approached this change in diet with resistance because I definitely ate more fruit and carbs than allowed, but I made up for it in other ways. I tried to avoid all foods with added sugars unless it was from sources of fruit or vegetables. Because of this change I began to eat more flavorful foods such as garlic, onion, herbs, salt and pepper. These foods helped to liven up dishes that usually required some type of sauce or other add-in. I also switched from having breads and pastas for the main carb to sweet potatoes, millet, and quinoa. This was one of the hardest things because of the nature of the diet you’re not supposed to have a lot of carbs because they turn into sugars and yeast thrives on sugar. So even though it is what I craved I had to avoid them or enjoy them in moderation. This was the same for fruit, and since I am a smoothie lover it was a tough one to transition. So what did I eat exactly? Well definitely repeated a LOT of the same meals since my options were sparse, but I definitely made the most of things and ended up really enjoying the meals I concocted. · GLUTEN FREE OATMEAL: This is where I broke the rules a bit when it came to holding back on carbs. I would make gluten free oats with cocoa powder, cinnamon, vanilla extract, blueberries and almond butter for good measure. If you haven’t tried this combination yet, please do because it’s heaven in a bowl. · SMOOTHIE: It was extremely hard making smoothies unless I used banana’s so if I was feeling daring I would throw in half a banana with 1/4th cup blueberries, almond milk, cocoa powder, vanilla extract and ice! · EGGS AND VEGTABLES: Lunch usually always consisted two eggs and any vegetables I had available sautéed in coconut oil. This would usually be paired with a bit of quinoa or millet and topped off with avocado. 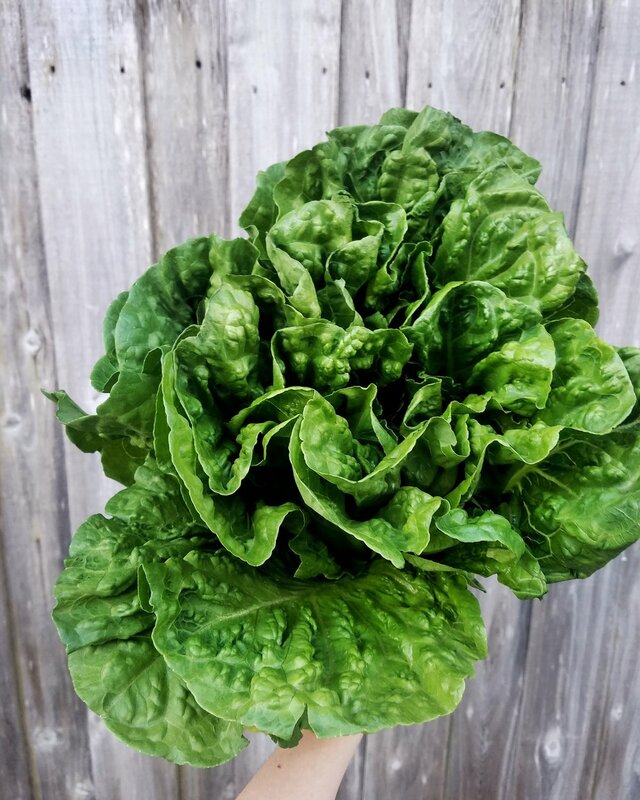 · SALADS: Another option I began to love were huge salads with loads of different greens. This gave me the option to explore some different veggies such as sprouts, cabbage, kale, arugula, and fresh herbs. I would usually always have some type of protein such as chicken or eggs and top everything with a happy helping of mashed avocado. By mashing the avocado it posed as a dressing so that I wouldn’t have to worry about any ingredients I wasn’t too sure of. · SWEET POTATOES: I would always cook a few sweet potatoes at the beginning of the week and have one every night at dinner. · MEAT: I always made sure to have a healthy source of protein whether it be eggs, fish, chicken etc. · FATS: Having a healthy source of fat was extremely important in keeping me full and satisfied without feeling like I was missing out. My favorite Fats were avocado, tahini, and egg yolks. 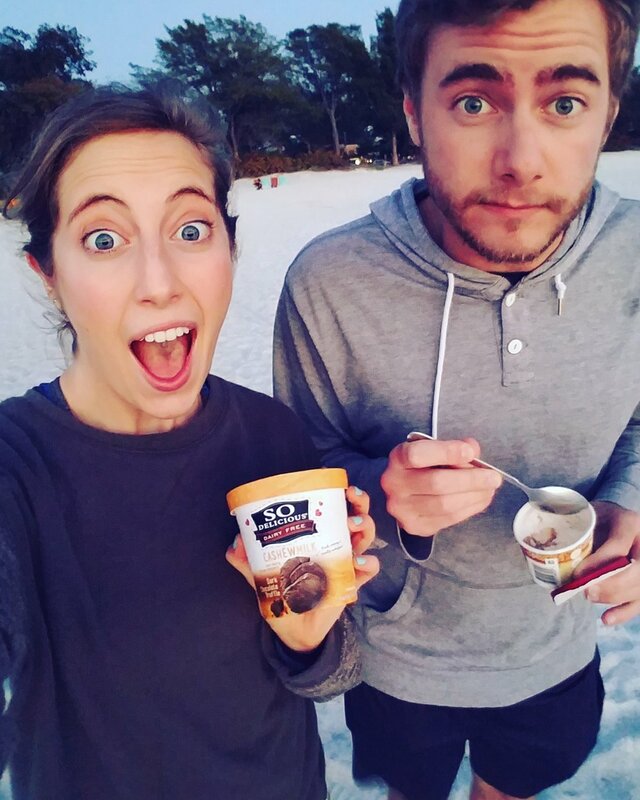 · CROCK POT MEALS: Because I could know everything that was being put in my food if it was prepared at home I ate quite a few crock pot meals. It is extremely easy to make recipes like chili, curry, soups, stews, etc. fit whatever dietary needs you have! · APPLES: They made the perfect snack because not only were they low in sugar, they are also loaded with fiber and water which helps keep you full and hydrated! · HUMMUS & VEGTABLES: This is an excellent way to up your veggie intake while pairing it with hummus which can easily be made at home! · TEA: Spending time in South Africa helped me to appreciate the joy of drinking tea. Specifically rooibos which is extremely high in antioxidants and also aids in digestion. Another favorite is throat coat by Traditional Medicines which is one my sister and I bonded over for several nights while I lived with her and her family. Though the diet was extremely successful in curing my Candida, I had formed a few bad habits that needed to be worked on. · My addiction to sugary foods was replaced with salt. I was probably using three times the amount of a normal person because I was missing out on a lot of extra condiments for foods that you normally don’t think twice about. Overall I was able to bring this back to normal, so this one wasn’t as bad. 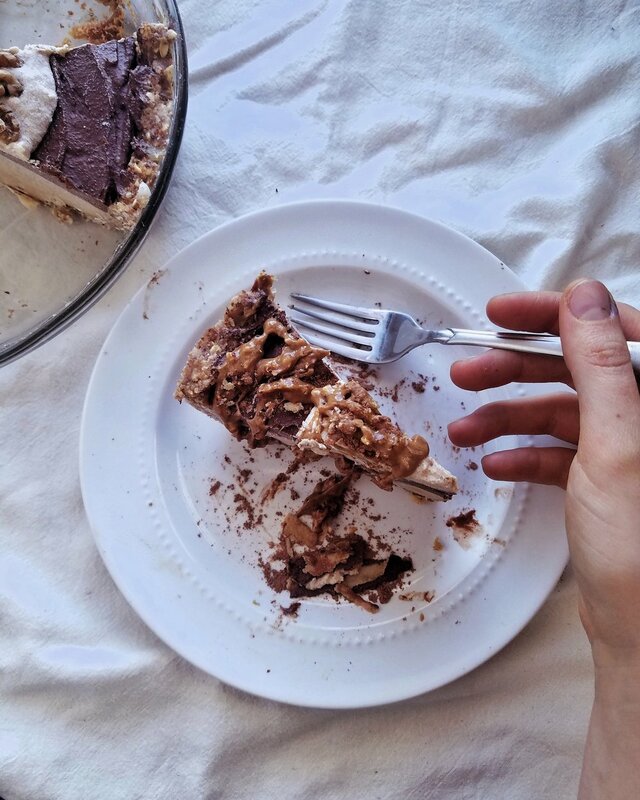 · Since I wasn’t allowed any desserts I would add cocoa powder to just about anything I could think of, and once I went off the diet and was able to have natural sugars again the intake of homemade chocolate syrup increased. To this very day I always have a 5lb bag of cocoa powder in stock and make everything from chocolate syrup to chocolate matcha lattes. Most days I can keep the amounts at bay, but then there are the days when all I eat seems to be chocolate. This is basically my own personal version of having that Halloween candy lying around and somehow the whole bag is eaten in a day. It might not be a snickers, but trust me too much of anything is not ideal. · The other bad habit is the obsession with healthy foods and the worry that something will make me sick. This is not to say that I shouldn’t be mindful of what I eat but there are times when worry takes over and I end up depriving myself of the foods I love for the sake of keeping myself “healthy”. I have to remind myself that I can splurge on a gluten free tater tots, it won’t kill me, and it won’t make me sick because otherwise I do take care of myself. When It comes to this problem I always try to remind myself that the sometimes it’s the stress that causes more harm than the food. · I made a full recovery and know how to care for my gut as well as uncover other problems that needed to be addressed that I would have not noticed until I was worse off. · The amount that I have learned from Candida about myself and the way my body works amazes me, and I know I wouldn’t be where I am today in my health and wellness journey without it. · Having Candida helped me to take a step back and de-stress. Even tough changing my diet was one big stressful event, my holistic doctor helped me to understand that when your body is stressed out it can do just as much harm as going off the diet. Overall I am grateful for the experience in that it has brought me to this point where I can hopefully help you through whatever health issues you might be facing. I’m guessing you can relate to this, but honestly I feel like the biggest struggle of the day is snacking. This is because I am usually underprepared and end up over eating random foods that aren’t exactly filling. Instead of healthy portioned snack, I grab the first thing I see which could easily be leftover Gluten free pasta, paleo cookies, peanut butter and chocolate, etc. Now it’s not a bad thing to eat any of these things, but it’s the fact that I ending up in a situation where I have little control over what I am going to use to fuel my body, which is counterproductive to my goals. I know that in order to achieve my goals I have to set myself up for success, and part of that success includes eating well. So, instead of going hungry or eating whatever is in sight, I plan for the upcoming day. I make sure to prep lunch and snacks that will not only keep me satisfied, but are exciting and different. My favorite way to accomplish this is by playing with flavors and textured. For example, if my snack is a yogurt, I will add some cocoa powder, chia seeds and top it off with fruit and nuts. If I am feeling something savory I might bring some roasted veggies with avocado and sesame seeds. The main thing is that you find what both satisfies and fuels you! You don’t have to eat the same thing every day, just find some snacks that work for you and make sure to switch it up whenever you find yourself losing interest. Snacking should be loathed or a regret, it should be something that is an exciting part of your day that you enjoy! Here is some more inspiration for healthy snacks! Probiotics and I go back, aka about 3 years. I WISH we went way back, but unfortunately it took quite a number of trials and time to discover probiotics. If your guys took the time to read my story, I want to first say thank you, and if you didn’t then go take a peak! Okay, so now that everyone has read my story, you will know that shortly after I was married I found out I had candida. Candida is the overgrowth of yeast in your gut, which resulted in the tearing of my stomach lining and the release of toxins into my body that made me sick. Though it wasn’t the most pleasant experience, I am thankful for it because I was able to learn so much about my body and the power of holistic health. With every supplements I tried my all-time favorite product I learned about was probiotics. Probiotics are the good type of bacteria that can help to improve gut health. They also help maintain good digestion and improve your body’s ability to absorb nutrients from your food! Probiotics boost your immune system and are especially helpful after taking an anti-biotic. This week, do your body a favor and see what kind of probiotics you can work into your diet. Trust me, your tummy will thank you! Pssst*…When you are buying these products, make sure to read the labels! You want simple ingredients with as little sugar as possible. The benefits of these products can decrease because of additives, so choose wisely! It’s that time of year again, where the most common joke you hear is “see you next year” and the items at the forefront of each store are items to help make you a better you. I admit it is really easy to fall into both the bad joke and new years resolution obsession, but there’s no need for either. It’s no lie that we all feel a little crummy after the holidays, but I believe that it’s something that we have been conditioned to feel. We go into the holidays with people forcing sugar cookies and alcohol down our throats because “it’s the Holidays” then immediately after they tell us we overindulged and in a way, need to be punished for it.It's not just about what we are eating ether, it's lifestyle, what we wear, the money we want to make, etc. The craziest thing is that we do it over and over again, every single year, expecting different results. Well let me tell you I don’t want to be part of it anymore, and you shouldn’t ether. We have the capabilities to take control of the decisions we make all year long and shouldn’t let social conditioning tell us what to do. There’s no reason why you shouldn’t enjoy sweet treats in moderation, or continue to exercise and treat your body with care as well as your family and finances, despite the time of year. Instead of setting a new year’s resolution try instead to make it a year full of showing a little self-love, taking it easy, and setting small goals that are obtainable and will help you become the person you want to be. Spending time reading the Bible. Trying to not set restrictions in my diet unless it was effecting my health. Putting more faith in my abilities. And learning how to say no. By doing these things it has helped not only my mind and Body to relax, but it also has helped me to stay focused on what is really important. This list is not perfect, but it works for me and you have to go out on a limb and try it for yourself! What things help you to move forward? Alrighty, that’s all for now, I hope you all have a wonderful Christmas/New Years !